Volunteering never felt so good. 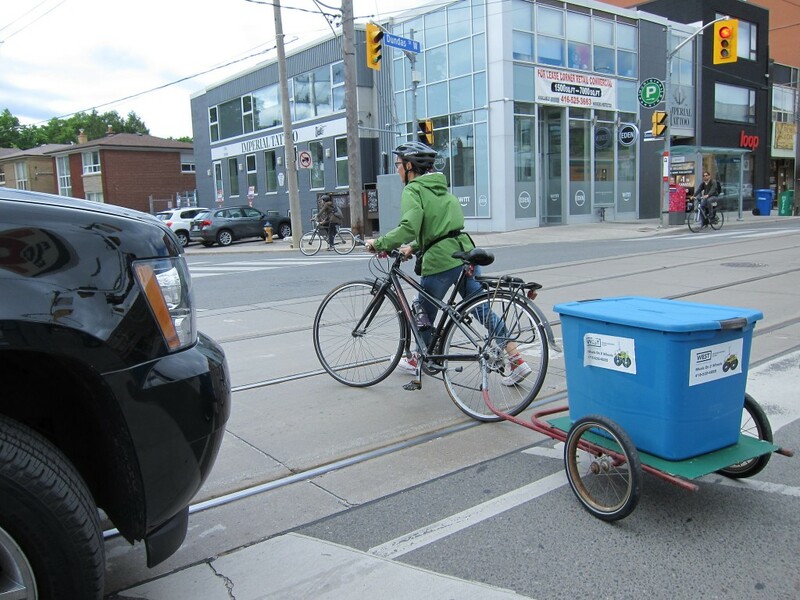 Now in its sixteenth year, West Neighbourhood House's Meals on 2 Wheels initiative brings food to those who need it, by bike. Volunteer Sue Todd (pictured) has been biking meals to elderly residents of the west end downtown for the last few years and says, "If I didn't have to work, I'd do this every day." Todd, an illustrator by trade, is also a bike lover and says there's nothing better than riding around town on a sunny day, feeling the wind on your face - while helping people with mobility issues get healthy, hot meals. The organization is looking for more volunteers. If you'd like to help, contact: volunteers@westnh.org or fax it to 416-532-8739 or fill in the form here. 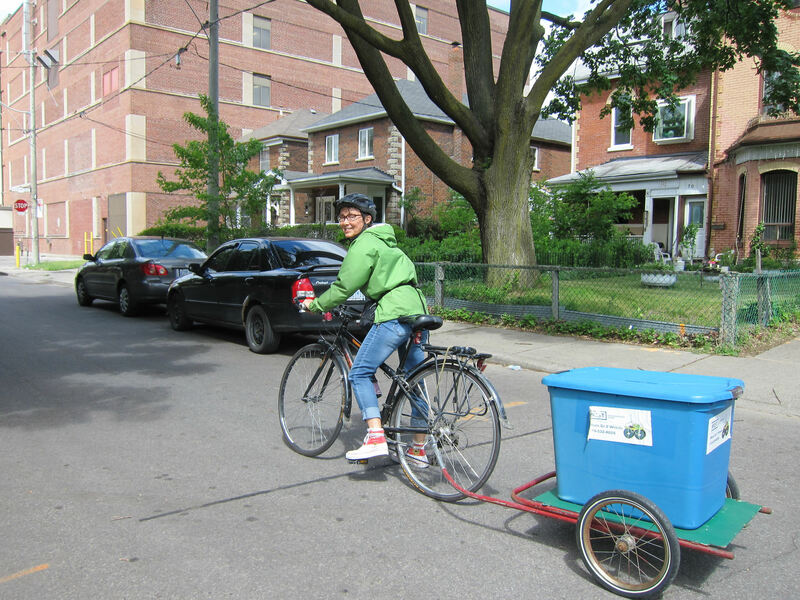 Delivering food by bike to elderly members of the community in need is a healthy and inclusive way to build community, says Angie Alves, who coordinates the program. She spoke with dandyhorse about how it works – and how more people can help. When and why did Meals on 2 Wheels start? Meals on 2 Wheels started in 2000 as a response to our changing community. 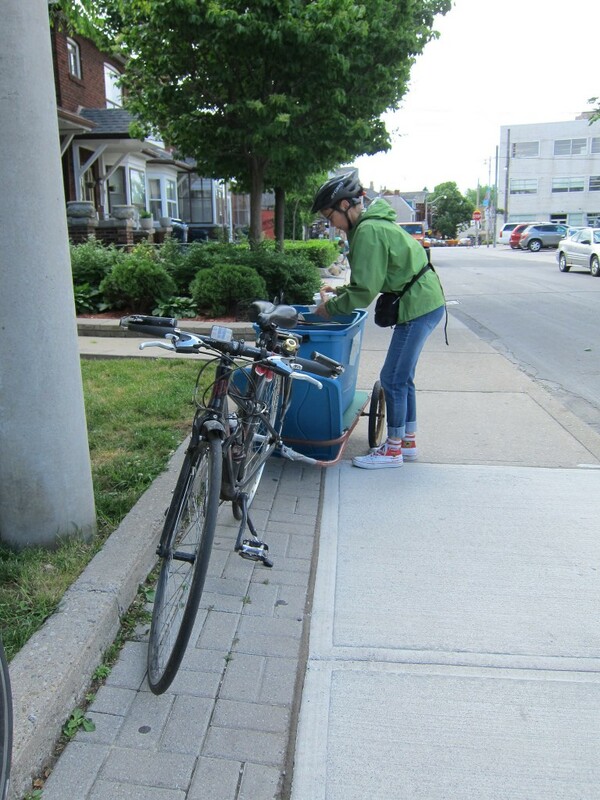 We were finding that fewer people wanting to volunteer in our Meals on Wheels program had access to a vehicle – many used bikes as a mode of transportation. In recognition of this change in addition to the increased vehicle congestion and challenges of parking within our catchment area, it seemed like a natural fit to have cyclists deliver meals to vulnerable people in our community! How often does Meals on 2 Wheels operate and what areas does it cover? There are shorter routes (closer to our 248 Ossington Avenue location and very suitable for cyclists) from Thursday to Saturday. Volunteers come once a week (either at 10:30am or 11:30am) and spend about 1.5 hours visiting and delivering meals to community members. 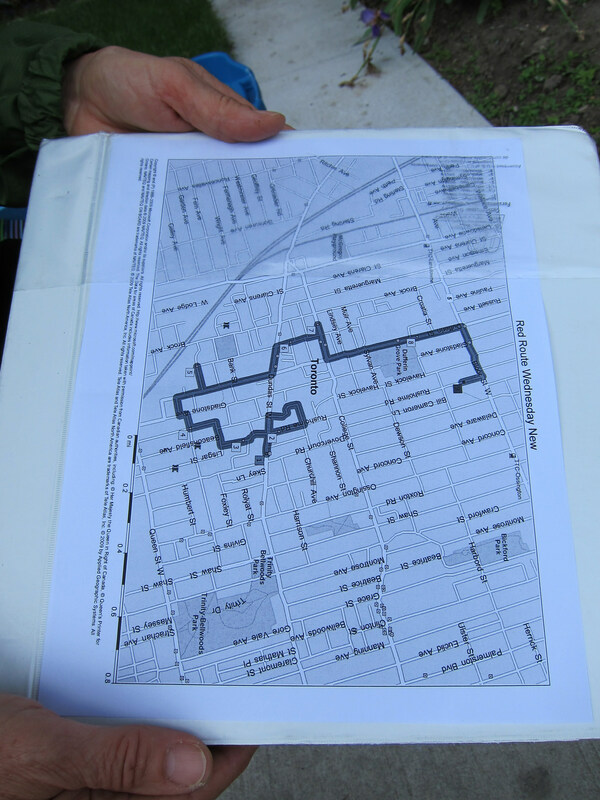 The program’s catchment area is Yonge Street to Roncesvalles Avenue., Bloor St W. to Lake Ontario. How many meals are delivered by bike? 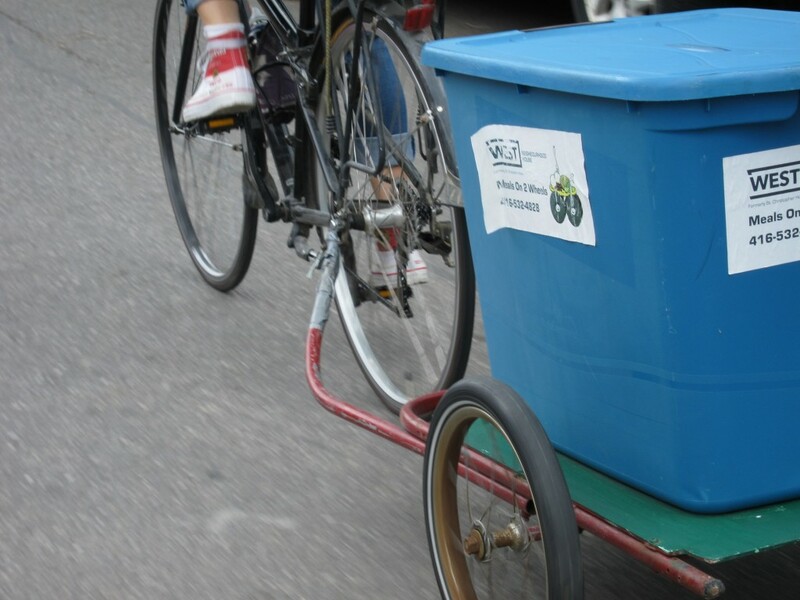 A trailer is hitched to the back of a volunteer’s bicycle that can hold 15 meals per route. 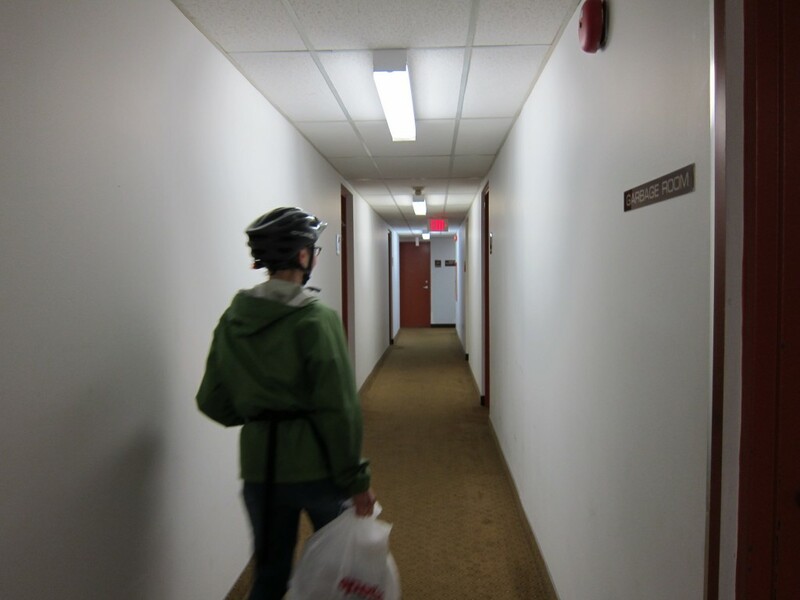 Do clients know their food’s delivered by bicycle? If so, what is the usual reaction? Yes. They think it’s a good idea; good exercise, much quicker to get around. 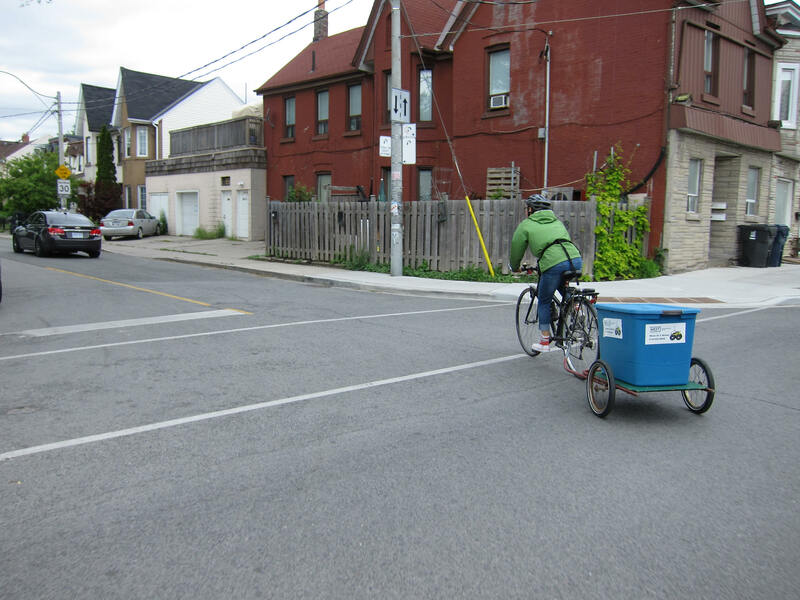 What are the benefits of delivering the food by bike instead of car? It is better for the environment, it’s easier to get around our neighbourhood and also saves time. 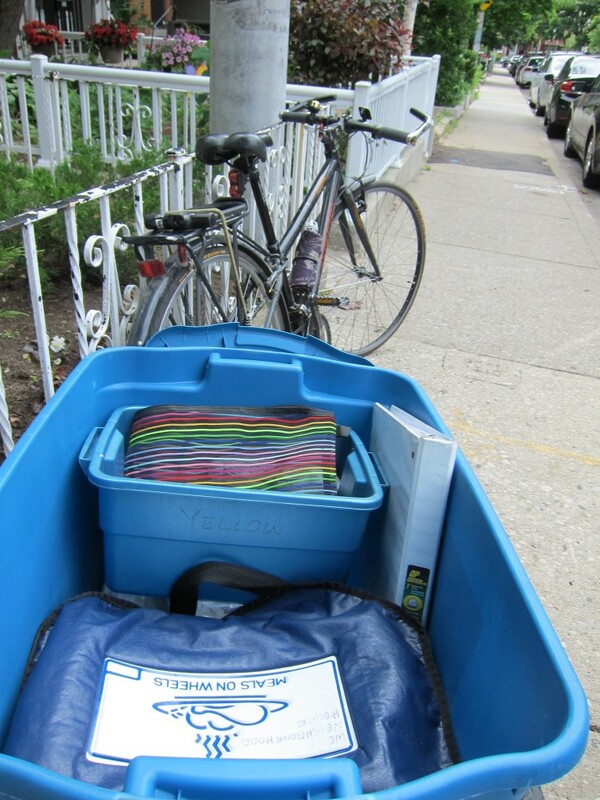 Delivering meals by bike also engages a new group of volunteers who prefer to get around town on two wheels. Would you like to do more deliveries by bike? During the fair weather, we are able to send out two cyclists per day. Other spots are reserved for drivers whose support we need to retain for the fall and winter when our cycling program takes a break. Most cities have a Meals on Wheels program. 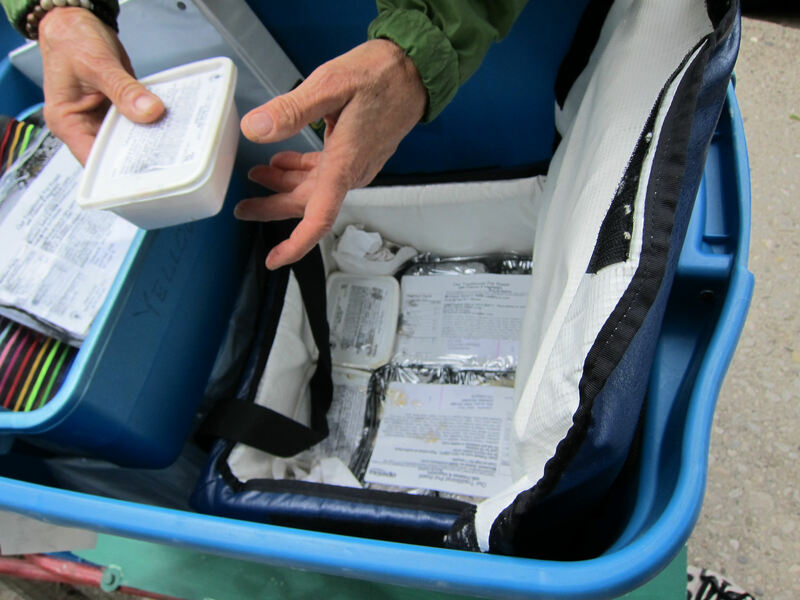 Do you know of any other cities that do something like Meals on 2 Wheels? Why is Meals on Wheels important? It’s very important because it assists seniors and people with disabilities to continue living independently in their homes. What can our readers do to help? What other programs does West Neighbourhood House have – and do any of those involve bikes? West Neighbourhood House has a wide variety of programs across our six locations in downtown west Toronto. In addition to Meals on Wheels, we have after-school programs for kids, settlement services for newcomers, drop-in centres for street-involved adults, and many other services. Currently, Meals on Wheels is the only program that combines bikes and volunteers. However, bikes do pop up in other programs from time to time! For instance, our Newcomer Youth Program has participated in biking trips and as well as hosting a bike safety workshop. Do you bike to work ? Would you like to see more bike lanes and other bike infrastructure in Toronto or in your neighbourhood? Some West Neighbourhood House staff are active cyclists who bike to work. As our neighbourhoods change and become more populated, it is great to see many people choosing cycling as a way of getting around. Infrastructure that supports safe and efficient cycling in the city is terrific! 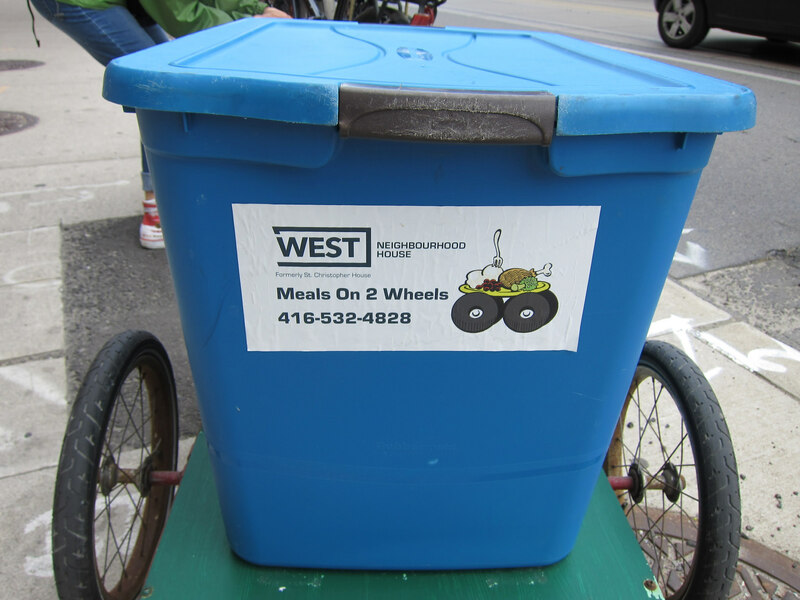 The Meals on Wheels program at West Neighbourhood House (248 Ossington Avenue) started in 1965 and has continued to serve the south west of Toronto for over 50 years. Currently the program offers four types of meals (Western, Chinese, South Asian and frozen meals) to participants year round, six days a week. Over 140 meals are delivered daily by volunteers. Main Volunteer Activities: Volunteers come as drivers (with their own car) and runners (to accompany the driver) to visit and deliver meals to isolated seniors and people with disabilities in the community. Volunteers with bikes (and trailers!) are welcome too, of course! Hours of operation are Monday through Saturday. There are shifts at 10:30am and 11:30am daily. dandyhorse rode along with Sue Todd, the Meals on 2 Wheels volunteer one day and saw what fun she had. Members of the community said hi to her as we rode by and the seniors were happy to see her when she dropped off the hot food. We got sun on our faces and wind in our hair -- if only cross at Dufferin was a bit easier.